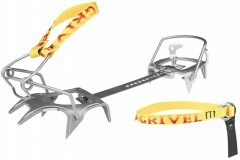 Solve your boot-to-crampon compatibility issues with the SkiMatic 2.0 attachment system from Grivel. With the levering bail at the front of the boot instead of the rear, you no longer have to worry about a collision with ski/walk mode mechanisms on alpine touring boots. 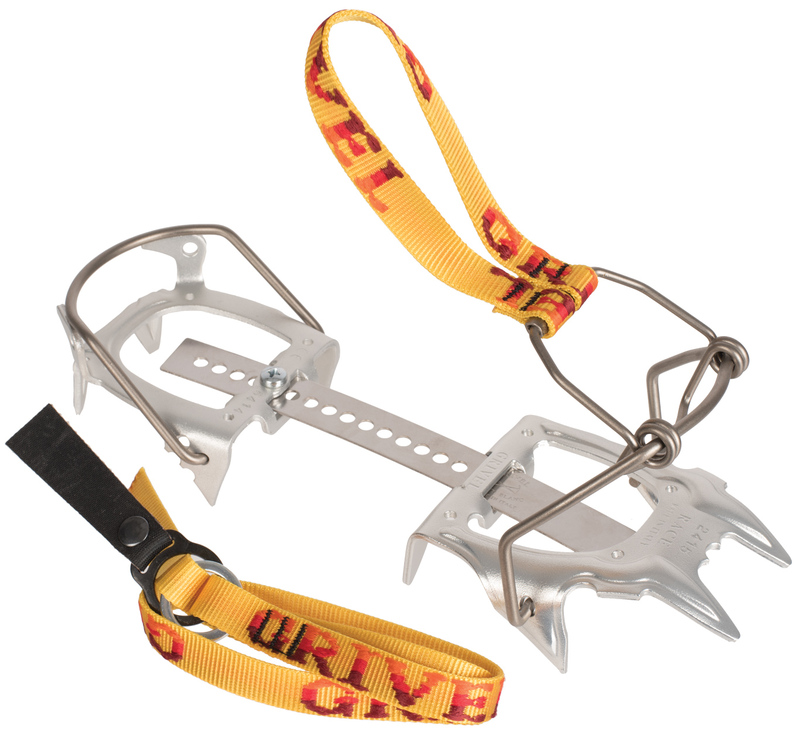 As a side benefit, it’s the fastest system for getting crampons on and off. The Race version of the crampon is light enough and greatly benefits from the speedy transitions. 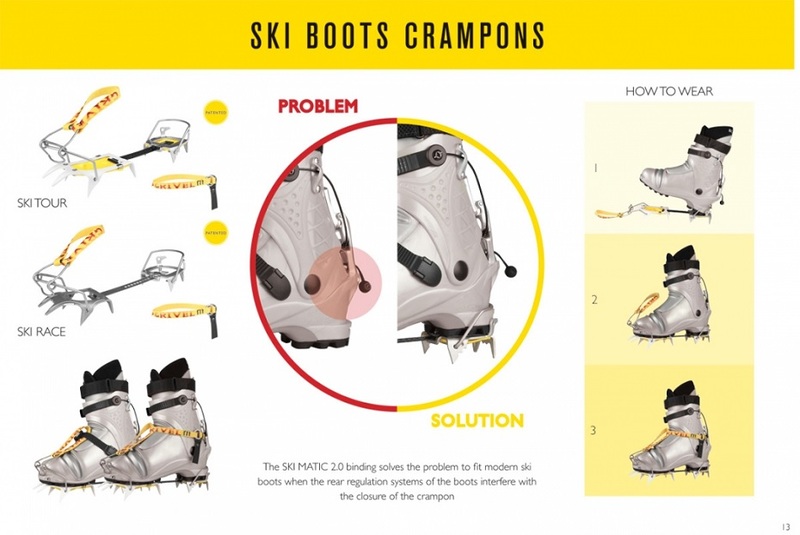 In other words, the SkiMatic 2.0 Race crampons are light and fast, just how we like it. Kudos Grivel. 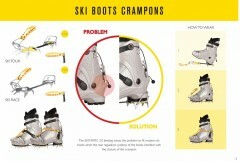 SkiMatic 2.0 interface quickly levers onto the front of a ski boot. 10 sharp aluminum points are strong enough for all snow routes. Simple webbing loop on the toe can be secured with a boot buckle. Flexible aluminum linking bar helps adapt to rockered soles. Additional ankle strap included if you want extra security. Comes in a durable carry case that is vented to allow for drying. Notes Super fast to put on.